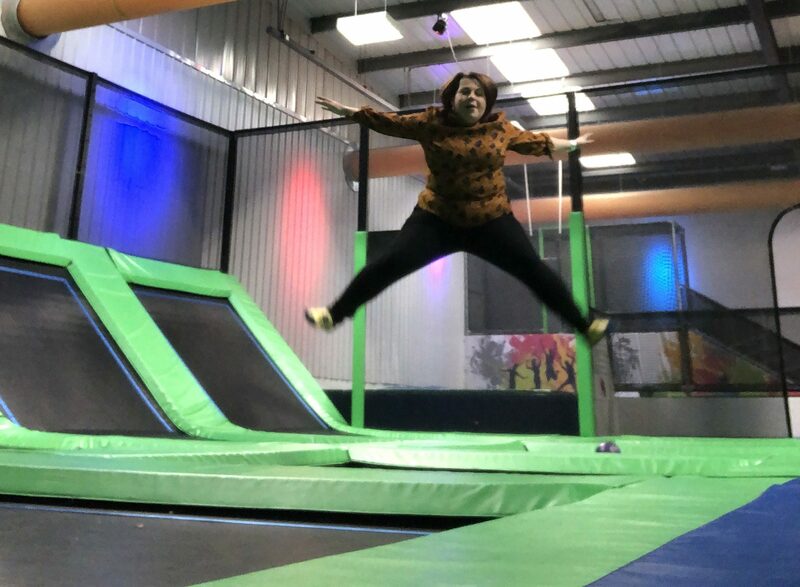 Our weekend started Friday I guess – we took a trip to Tonbridge to visit our buddies for a parent and child trampolining session. 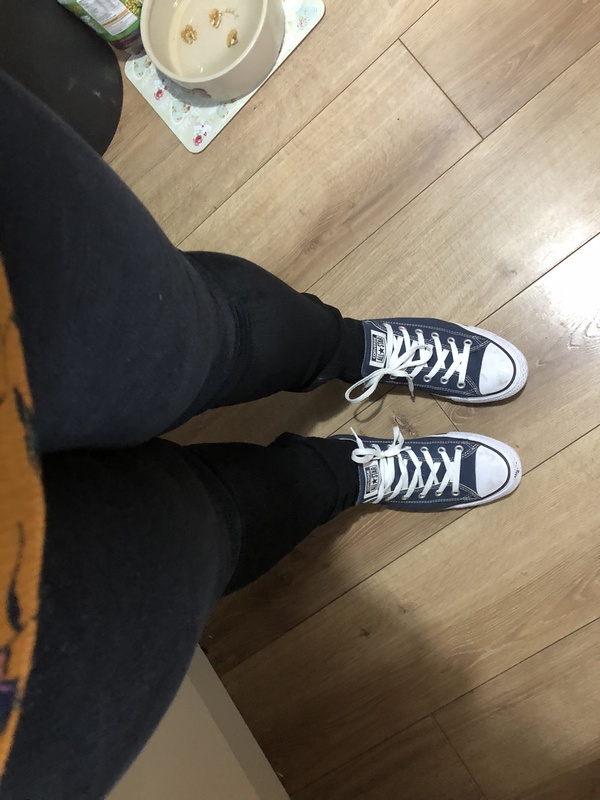 I wanted to test out a pair of jeans I’d been sent by Pink Clove, as I basically live in jeggings(leggings in jean material) and wanted to see if a pair of skinny-style jeans would suit me. The ‘Plus Ede Stretch Zip Hem Denim Black Jeans‘ are high waisted which I love and are long in the leg with a zip inside each ankle. 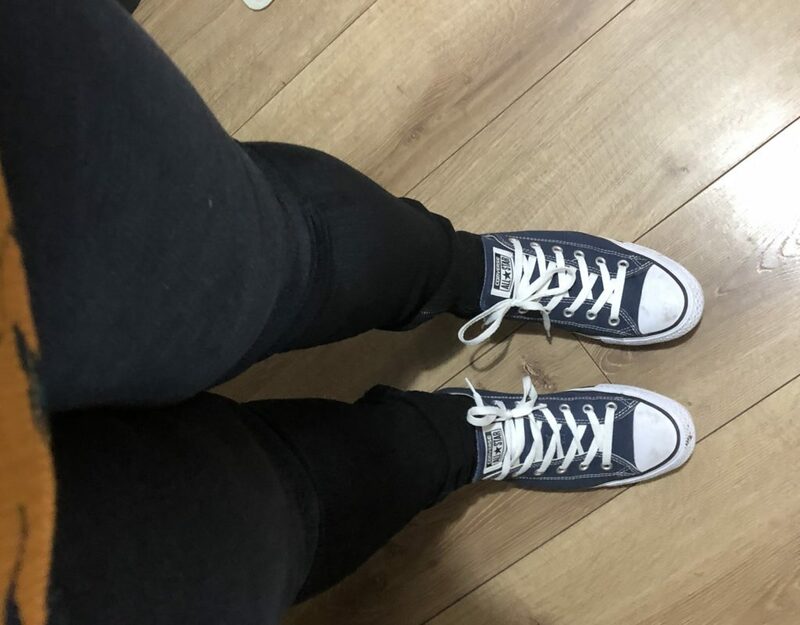 They were a good fit, I’m a size 18 and they felt true to size but they did stretch a little on wearing so appeared a little baggy. They are comfortable and the button and zip felt secure. I teamed the jeans with my favourite mustard-floral blouse from ASDA last year and my trusty Converse. So how did they fare? Normally jeans can be a little bit restrictive but these weren’t at all – I could jump and bounce freely. They look nice on and can be easily dressed up and down. 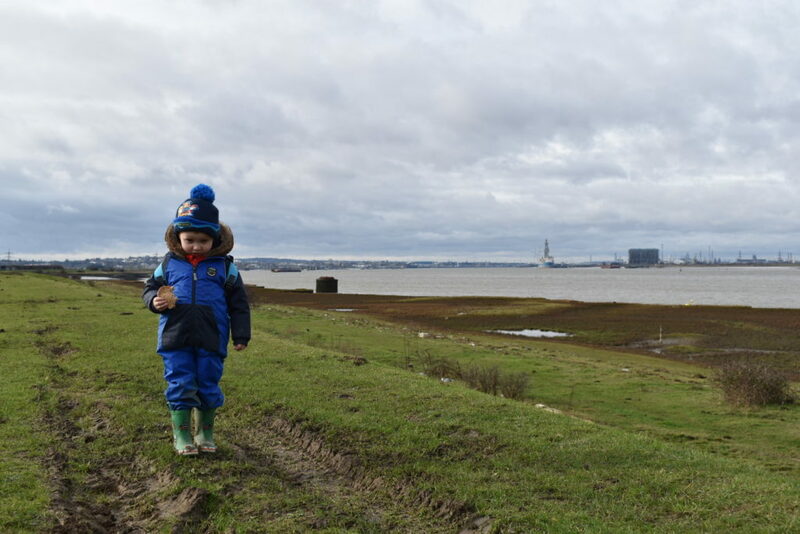 On Saturday we decided to take the boy and the dog for a walk to Shornemead Fort, a partially blown up fort on the Thames Estuary about twenty minutes from our home in Maidstone. The boy loves exploring, so it’s a cool little place to take little ones for adventures. 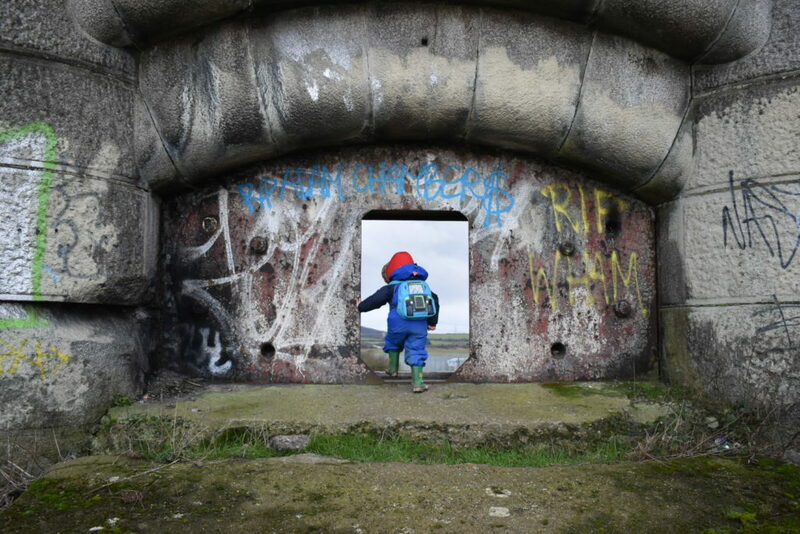 From Shornemead we walked along the Saxon Shore Way to Cliffe Fort, another abandoned 1800s fort. It’s a strange place – we only saw two people and it’s a bit bleak but an interesting place to have a wander around. 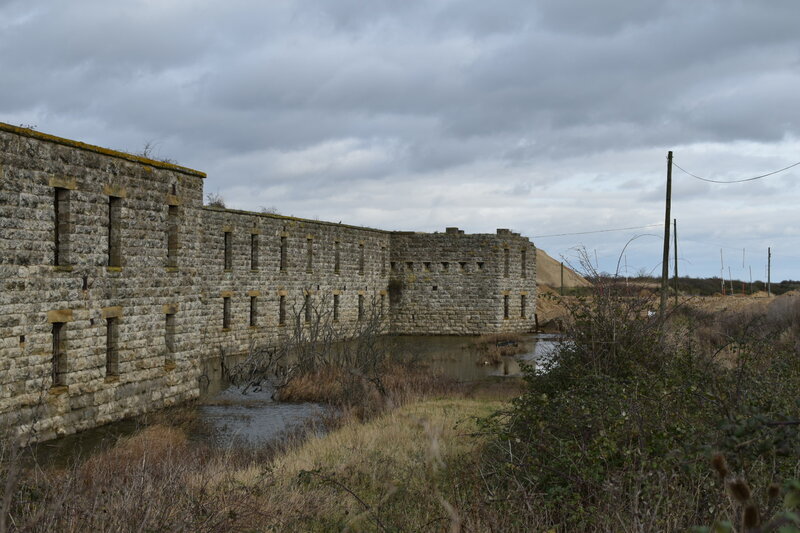 Cliffe Fort isn’t accessible and is flooded out but we discovered an abandoned building behind it which turned out to be a ‘nine bottle’ kiln from the 1800s. It was a long, LONG plod back – my left boot decided to spring a leak after a mile and after walking a total of eight miles I have some tasty blisters. Ouch. 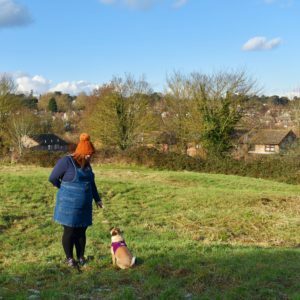 Being outdoors and walking as a family is our favourite way to spend a day – we took a packed lunch with us and just wandered at our own pace. If you don’t have one, plastic puddle suits and wellies are a must for kids – are adult versions a thing? The weekend was four days into me cutting my sugar intake drastically – I was a little miserable and headachey but overall I’m feeling pretty good. My next post will be talking about my reasons for cutting sugar out – watch this space. So that was our weekend – and all too soon it’s Monday again and back to the usual. Urgh….